Variable stars are stars that vary in brightness over time periods ranging from a few hours to several months or more. If these variations in brightness are large enough they can be detected visually using ordinary telescopes, binoculars, or the unaided eye. There are, in fact, a large number of variable stars that can be observed using instruments that are widely available to the general public. Brightness variations in stars can be attributed to several factors, many of which are related to the general evolutionary life cycle of typical stellar populations. Other variable stars have unique characteristics such as unusual chemistry, temperature or location to our line of sight. Cataclysmic variables are stars that undergo major disruptions that in some cases will completely destroy the star. Variable stars that have very small changes in brightness need to be studied by sensitive electronic detectors such as photometers. Variable-star observing is one of the best and most popular scientific pursuits for backyard astronomers and it is an ideal choice to for those who would like to take their hobby to a new level. There are several variable stars in the night sky, visible throughout the year, that are well suited for beginners. Many fine examples of these can be found in this section, and on our observing-skills page you can learn the techniques of variable-star observing. There are several different types of variable stars to choose from as well as a wide range of brightness categories. It is a good idea when you are learning to estimate variables to pick ones that are fairly bright, easy to find and that have good comparison stars for estimating the current magnitude. This will save you time and energy looking for difficult objects that may be quite faint and in remote areas of the sky. As your skills increase you can try more challenging targets. Variable stars have been observed throughout history but it was not until after the invention of the telescope that organized searches began. The reason for this is that there are only a handful of variable stars visible to the unaided eye and so there was not much to do before the time of Galileo – the first person to point a telescope toward the night sky. Besides the few known bright variables, ancient peoples occasionally observed bright nova and supernova explosions of distant stars that would reach unaided-eye visibility and would sometimes even be visible in the daytime. 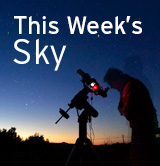 These events were recorded by astronomers of that day and were big events of their time. A supernova bright enough to be seen in daylight would no doubt be a major event even today. Supernova explosions visible to us, within our galaxy, are quite rare events and only occur on average once every several hundred years. Organizations specializing in variable-star observing began forming in the 1800s, and in 1911 the American Association of Variable Stars was officially established. A complete and comprehensive history of the AAVSO is available on their website. For more information about the history of variable stars, their designations, light curves, and types, we highly recommend you read this Overview of Variable Stars by Dr. Bob Nelson of the Prince George Centre. 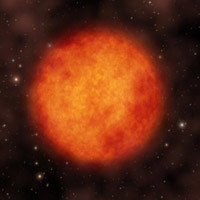 Long-period variables, also known a Mira variables are red giant stars that have moved off the Main Sequence and are undergoing physical changes in their structure, chemistry, and temperature. As stars reach the end of their life cycle, they become unstable and start to pulsate, and as they expand and contract, the surface temperature cools and heats up. This pulsation causes the star to change in brightness by as many as 2.5 to 5 magnitudes or more over periods ranging from several months to a few years, depending on the star. Long-period variables are excellent observing targets for new variable-star observers because they display significant changes in brightness and there are many fine ones from which to choose. Cepheid variables pulsate with periods of 1 to 70 days and follow the period-luminosity relationship that allows them to be used as distance-measuring candlesticks. If the period of a Cepheid is known, then the brightness can be determined and therefore the distance. This is very important to cosmologists who are studying the size and age of the Universe. Semi-regular variables display a fairly stable over-all light curve, but at times will undergo intervals of irregular variation. They have periods of 30 to 1000 days and vary about one or two magnitudes. RR Lyrae stars are white giants that have short periods of pulsation ranging from .05 days to 1.2 days with a magnitude range of 0.3 to 2. RV Tauri stars are yellow supergiants that pulsate in an alternating pattern of shallow and deep minima. Their periods are measured between the deep minima, which range from 30 to 150 days. These stars can vary by up to three magnitudes, and some RV Tauri stars show long-term overlapping variations as well. These are believed to be close binary stars with short orbital periods consisting of a white dwarf and a main-sequence star, similar to our Sun. 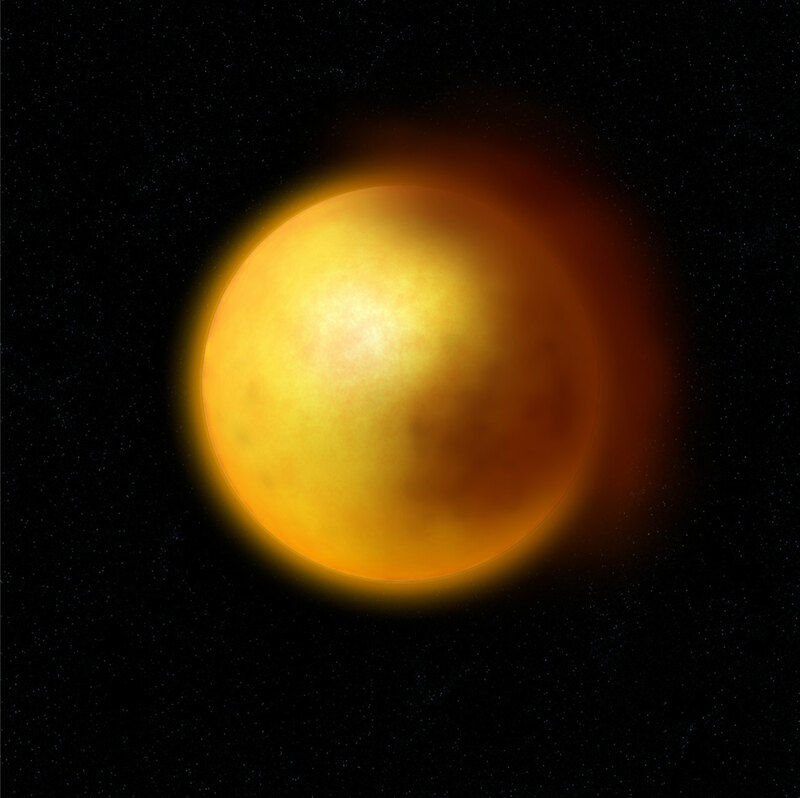 Through gravitational interaction, material from the main-sequence star builds up on the white dwarf causing it to flare-up when it reaches a critical mass. The resulting explosion causes the star to increase in brightness by 7 to 16 magnitudes in an interval of 1 to more than 100 days. After the flare-up, the star slowly fades back to normal brightness over a period of several years or decades. These are novae that have been observed in outburst more than once. Several recurrent novae have been recorded throughout history, and therefore these stars need to be monitored regularly since their outbursts are unpredictable. These are massive stars that undergo catastrophic explosions that will destroy the original star, leaving only a core remnant that, depending on the original star's mass, will be either a neutron star or a black hole. The outer layers of the star are blown away by the explosion and expand into space, creating what is known as a supernova remnant. The Crab Nebula in Taurus is a good example of a supernova remnant that formed after a supernova that was seen and recorded in the year 1054. These luminous stars spend most of their time at maximum brightness, but will, at irregular intervals, fade by up to 9 magnitudes. They are rare, unusually carbon-rich, hydrogen-poor stars that are believed to form carbon soot in their atmospheres, resulting in a reduction in brightness. R Coronae Borealis type stars slowly recover from their minimum luminosity within a few months to a year. 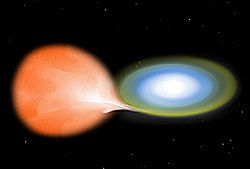 These are close-binary stars comprised of one red giant and one hot blue star, both of which are involved in nebulosity. 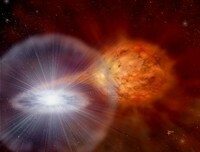 Symbiotic stars have novae-type outbursts that can result in a their luminosity brightening by up to three magnitudes. These are short-orbital-period, close-binary stars that suddenly brighten within a few hours. The interval between eruptions can range from 10 to several thousand days with light variations of 2 to 6 magnitudes over time spans of 5 to 20 days. These stars are similar to U Geminorum stars except they go through phases of stillness about one-third of the way from maximum to minimum. They can stay at this stage for up to several normal cycles before going back to their usual pattern. These stars are also similar to U Geminorum types, except that they have two kinds of outbursts – one lasting 1 to 2 days, and the other lasting 10 to 20 days. The short outbursts are faint and occur often, while the longer outbursts are bright and less frequent. The brighter outbursts are known as supermaximum, and can display periodic, small-amplitude modulations called superhumps. These are binary stars where the orbital plane of the system is located directly in our line of sight, causing one star to eclipse the other as they revolve around their common centre of gravity. The eclipse results in a decrease in brightness, that, if significant enough, can be seen visually. In the case of Beta Persei, proper name Algol, you can watch the star dim and brighten over just a few hours every 2.86 days. The RASC Observer's Handbook lists the times of all Algol eclipses throughout the year in The Sky Month by Month chapter. These stars are thought to have prominent bright and dark areas on their surface that result in small variations in brightness as they rotate in and out of view. These slight variations are not usually measured visually.